A dynamic city center both presupposes and generates vehicular traffic. By helping drivers to quickly and easily find vacant parking spaces, accessibility, flow and the environment are improved. At the same time, operators enjoy full control over the parking situation and can direct traffic as desired. With our solutions, all kinds of signs and counting systems are connected to form a functioning whole in a system that is also scalable and adaptable to changing needs. 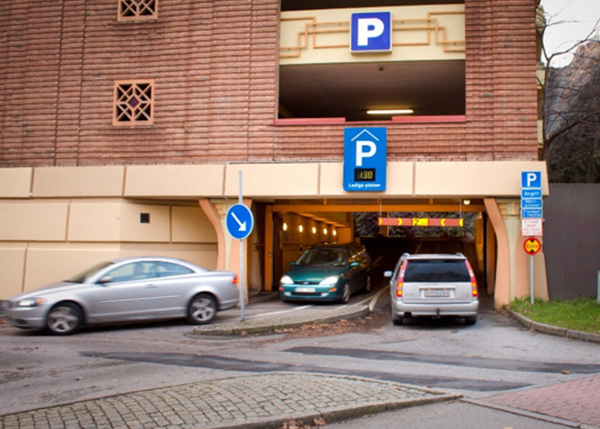 Cars are counted by magnetic loops, IR detectors, sensors at each individual location or cameras at the entrances and exits to parking garages and parking lots. The information is gathered wirelessly or via hard wire and processed before distribution to the information signs. 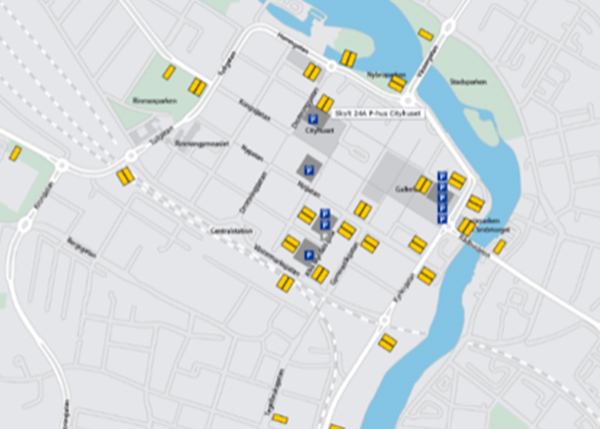 It’s easy to move or add more signs and parking facilities as needs change. All user functions are accessed via the internet or smartphone. This applies both to operations monitoring, which transmits alarms if something is not working as it should, and for setting parameters such as calibrating the number of occupied spaces in a parking facility. Because drivers can quickly find vacant parking spaces, traffic circulation is reduced and parking facilities are used more efficiently. 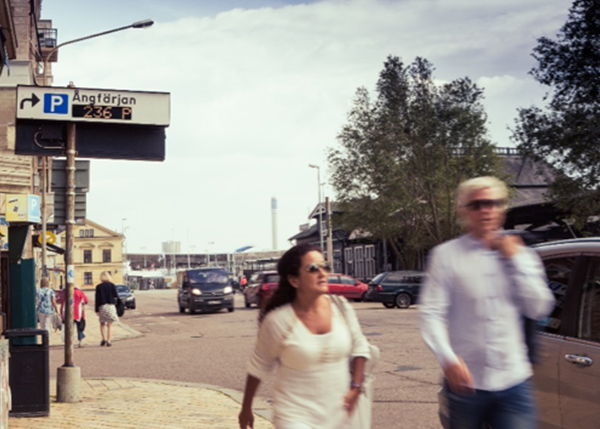 Because signs and counting systems are connected wirelessly they are easy to move, making parking management systems easy to adapt to changing requirements. Our solution is based on an open, brand-independent platform to which all types and makes of signs and counting systems can be connected.